Just as desert racers and enduro riders in the 1960s took Triumph twins and personalised them for off-road fun and competition, we started out with the standard Bonneville and modified it to achieve the classic Scrambler look. At the same time we studied closely the original Triumph TR6C Trophy Special from the late 1960s, the bike which inspired the Scrambler’s high level exhausts. 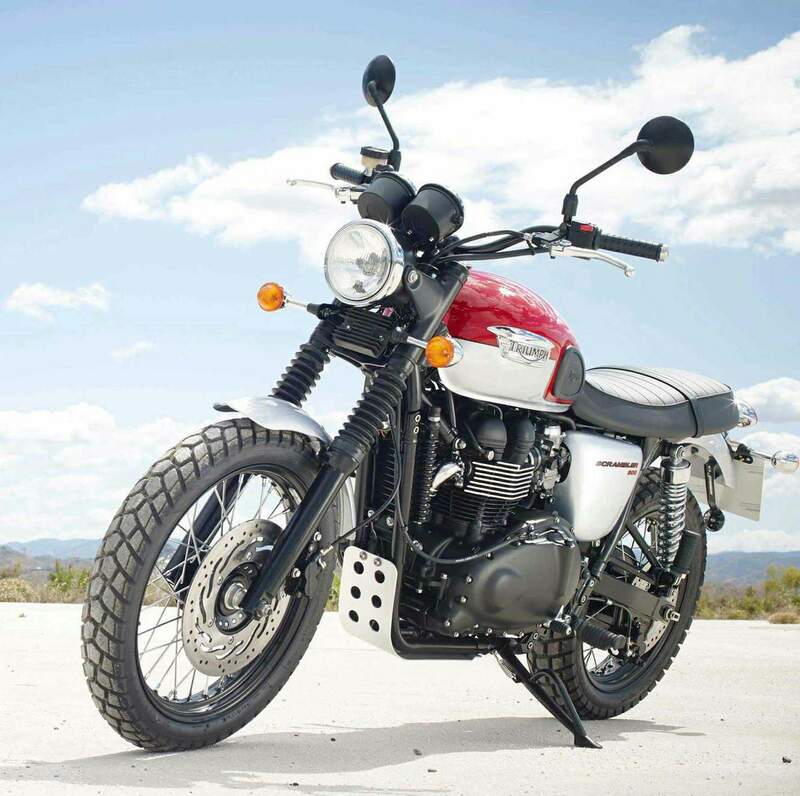 Powered by a special version of our twin-cylinder Bonneville engine, the Scrambler is air-cooled and styled like the 1960s originals yet quietly bristling with 21st century technology to ensure it’s efficient, durable and easy to use. The riding position has its roots in off-roading too. 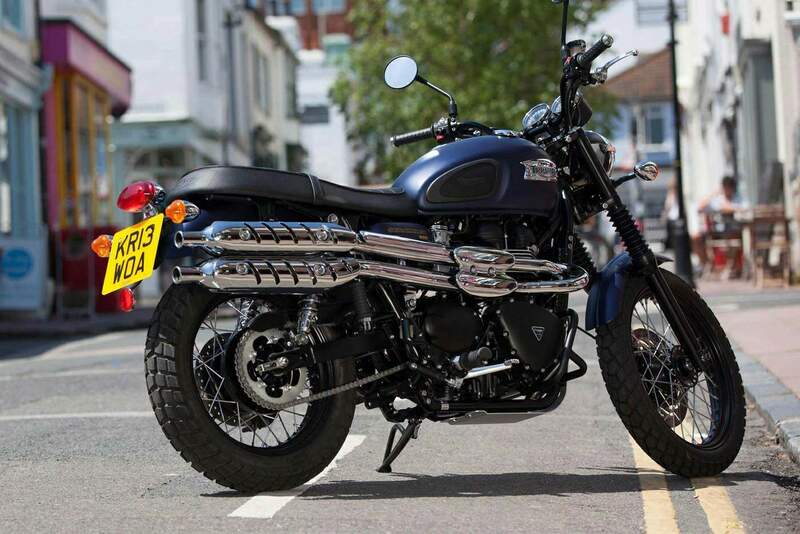 We gave the Scrambler high and wide black finished handlebars and footrests raised for better ground clearance. It sits you tall and upright so you are in command either riding around town or cruising along in the country and enjoying the view. It also gives you fine control of the bike when you’re hustling it through corners and slipping through traffic because it’s so responsive, obedient and easy to control. The traditional long, flat seat of the Scrambler not only looks the part, it means riders of all sizes can find the ideal position to sit just by sliding into the most comfortable place. This works for the passenger too. There’s plenty of room behind the rider without being forced into a single position – snuggle up or sit back, either is fine. With the exhausts lifted high out of the way it’s possible to see the traditional tubular steel, twin cradle frame in all its glory. 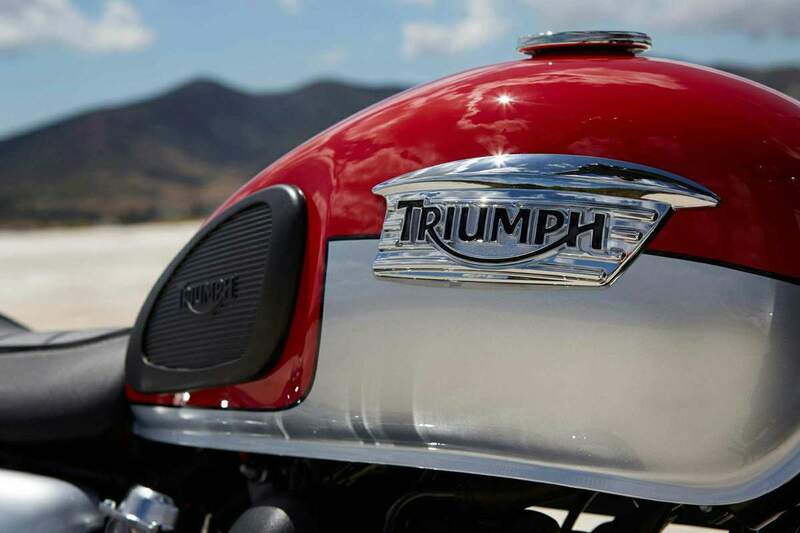 Classically styled but strong enough to meet modern handling expectations. The engine is bolted in to lend its own stiffness to the frame which creates a ride that’s light, predictable and completely engaging. Only wire spoke wheels would do for a classic like the Scrambler so that’s what we’ve fitted, now with eye-grabbing black hubs and rims. There’s a 19 inch diameter rim at the front to add to the authenticity and style. On those are block-treaded tyres, another nod towards the off-road look but with excellent on-road performance in all conditions. We matched the Scrambler’s performance perfectly with a single front disc, providing progressive, confident stopping power without overwhelming you.